Drive Train is an unashamed celebration of everything that Rock n’ Roll symbolised in its heyday. Those sepia toned days when fuel was so leaded it weighed your car down, smoking wasn’t bad for you and even the doctor would prescribe a shot of whisky for your nerves. 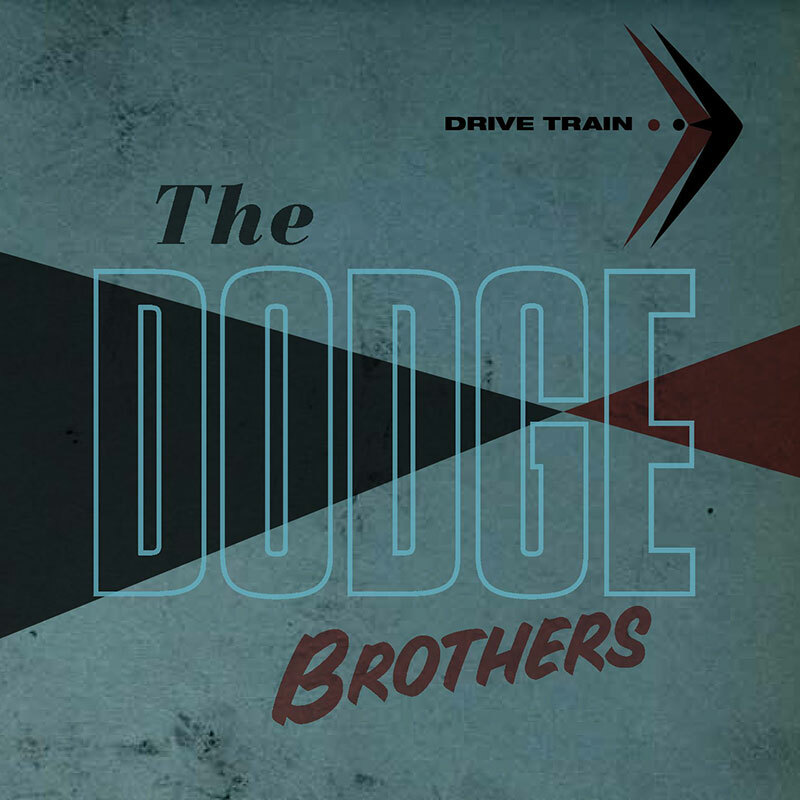 But, and it’s a big but, The Dodge Brothers never slip into pastiche or parody. 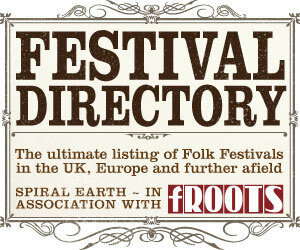 Their world of blues, rockabilly, country and a bit of skiffle feels even more potent and focused on this album. 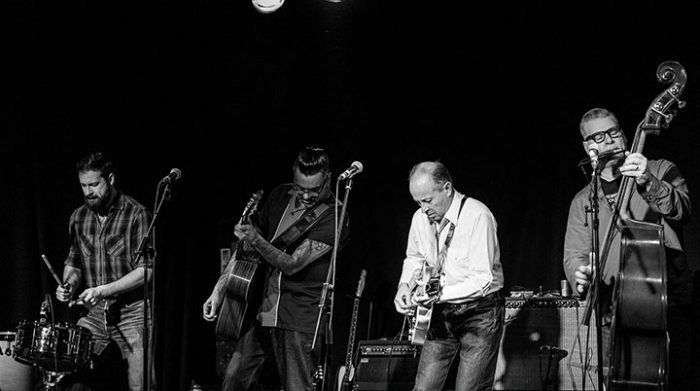 The Dodge Brothers are Mike Hammond (lead guitar, lead vocals, banjo), Mark Kermode (bass, harmonica, vocals), Aly Hirji (rhythm guitar, mandolin, vocals) and Alex Hammond (washboard, snare drum, percussion). The two Hammonds in there aren’t brothers, it’s a father son thing going on. Mike hails from Alabama originally, so he has a first person relationship with that old American Dream. Of course, the blues wouldn’t exist if those dreams couldn’t be broken, and the full gamut of broken hearts and longing are here. That gritty reality is balanced out by the optimism inherent in the unshakable belief of better fortunes just over the horizon – Step Away From The Car and Head Out West epitomise this with equal measures of youthful glee and optimism. And that big horizon is writ large across this cinematic canvas that they bring into sharp relief. Great songwriting and tight, inventive instrumentation ensures the fifteen songs across the album never get boring or predictable. They bring different instruments to the fore and coax their amps to give fresh voice to their guitars. I still wonder if there is any sound as emotive as a hollow body electric? The banjo and mandolin in particular are used to great effect on the album, sparse enough to make their arrival a shiver inducing thrill.